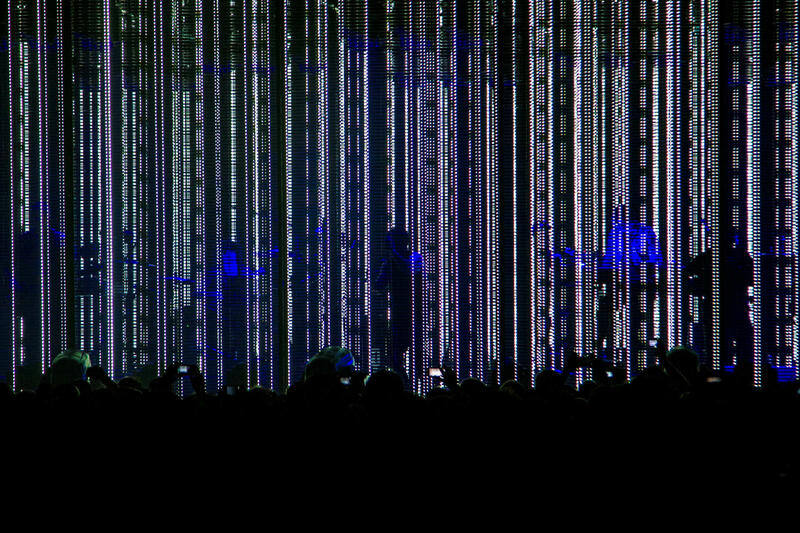 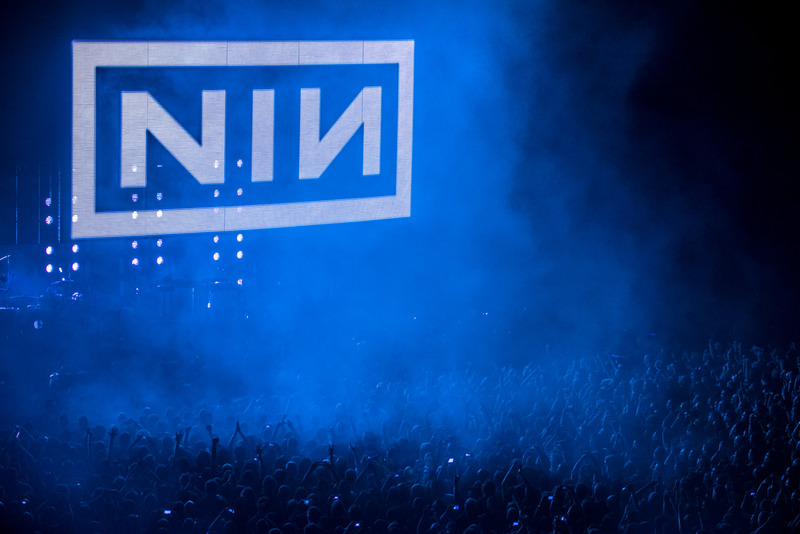 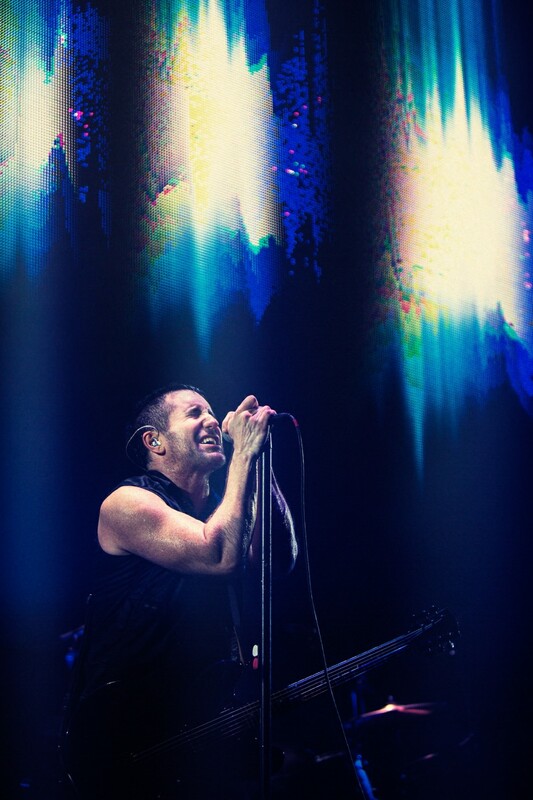 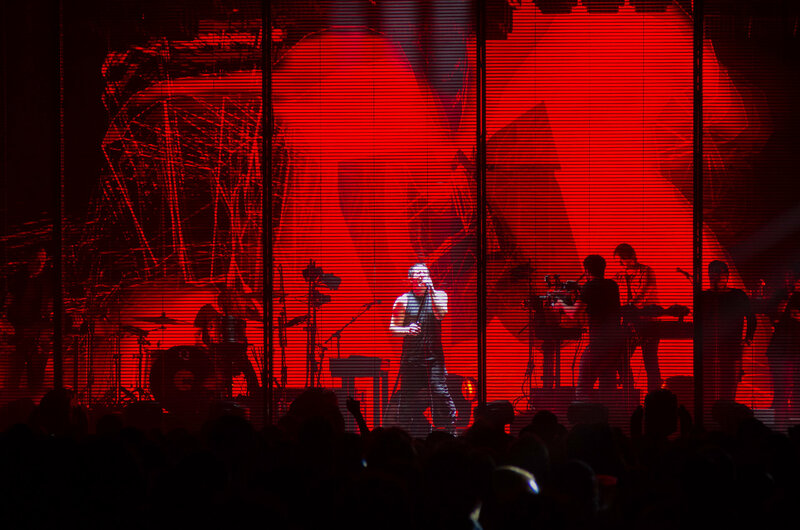 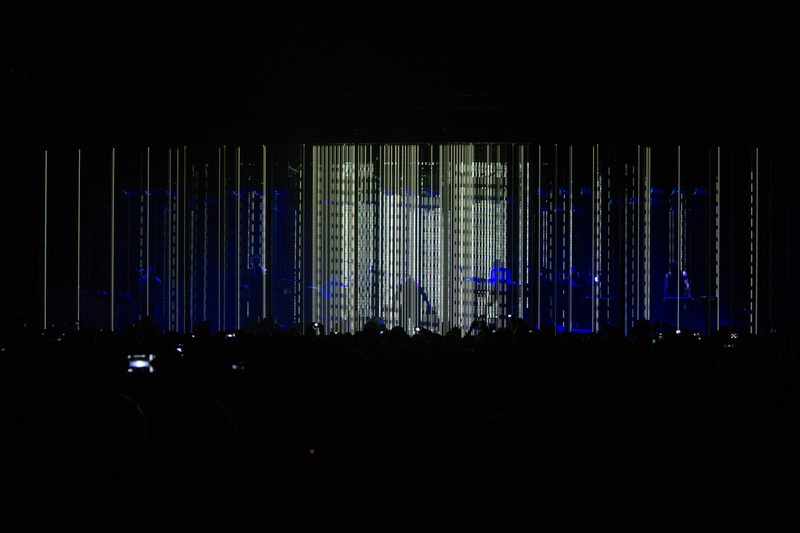 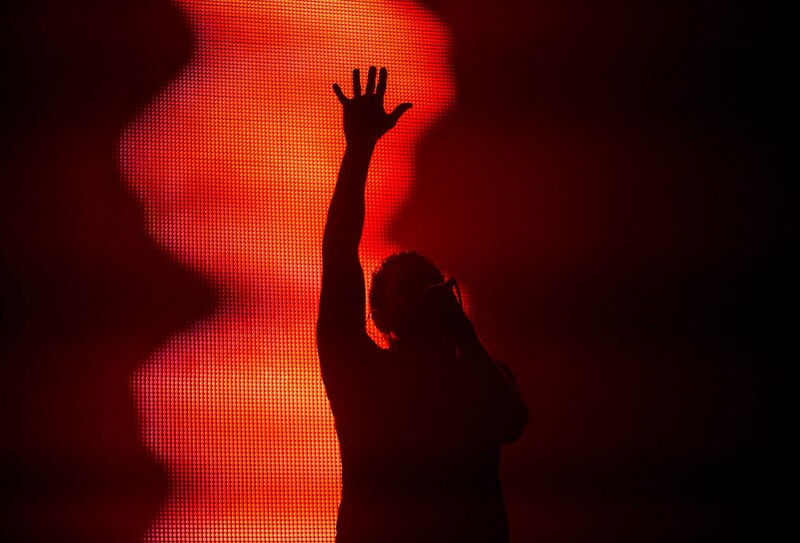 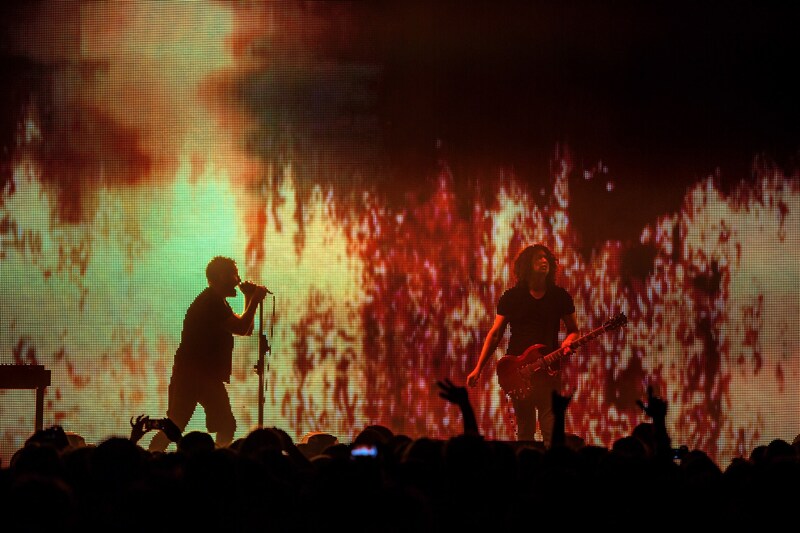 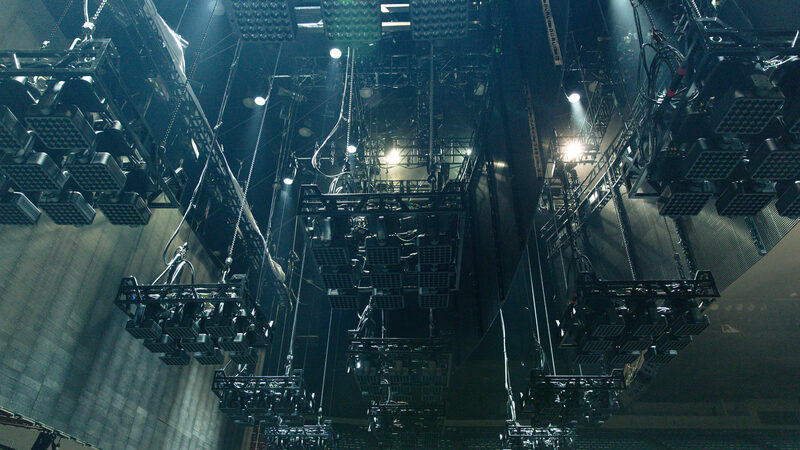 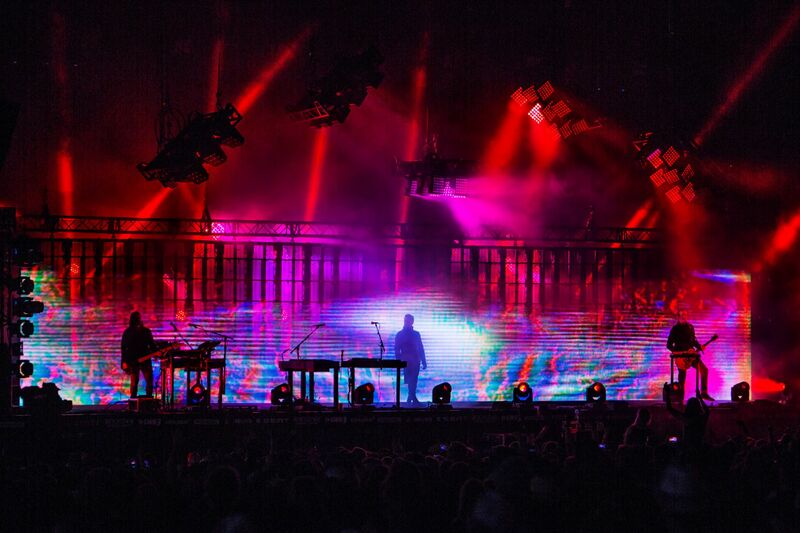 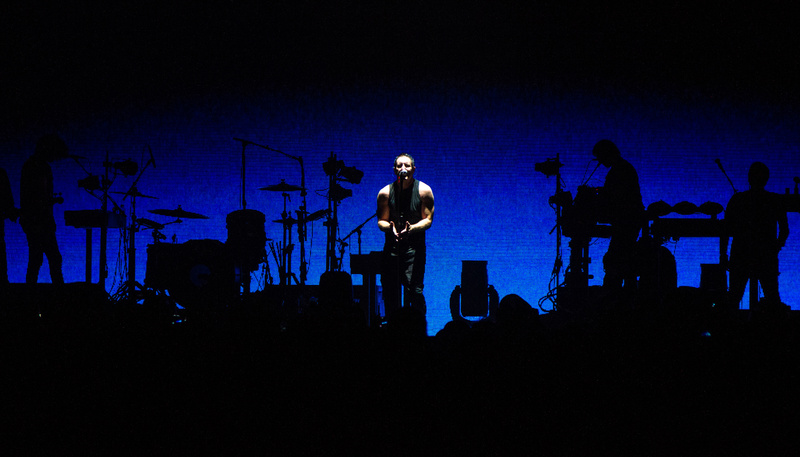 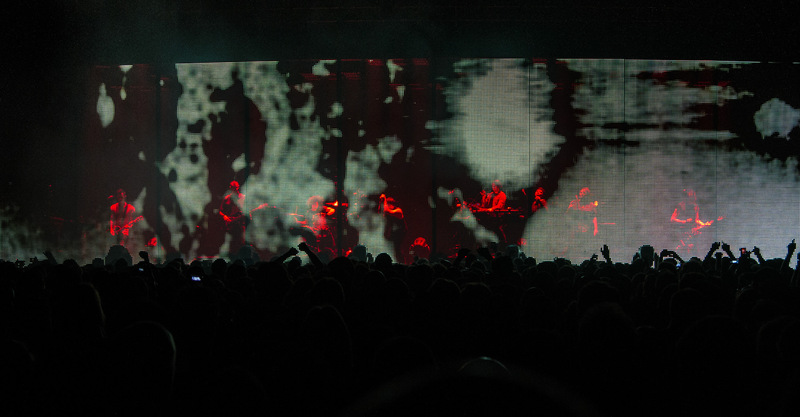 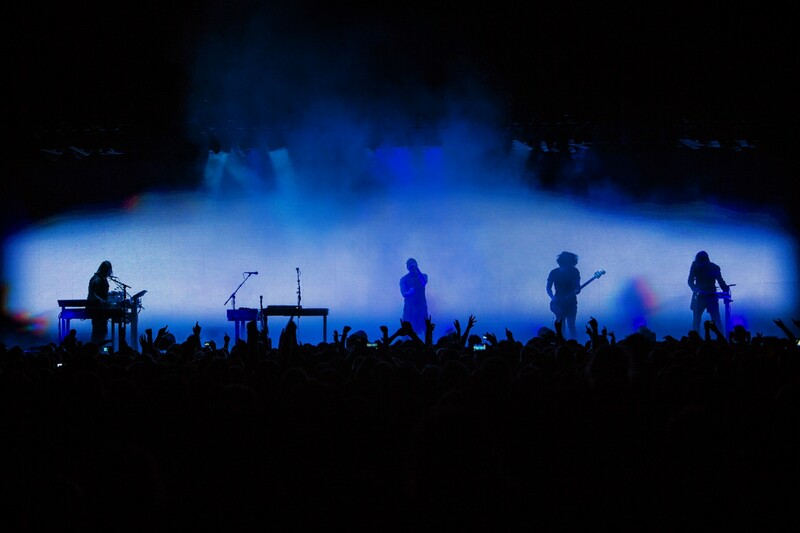 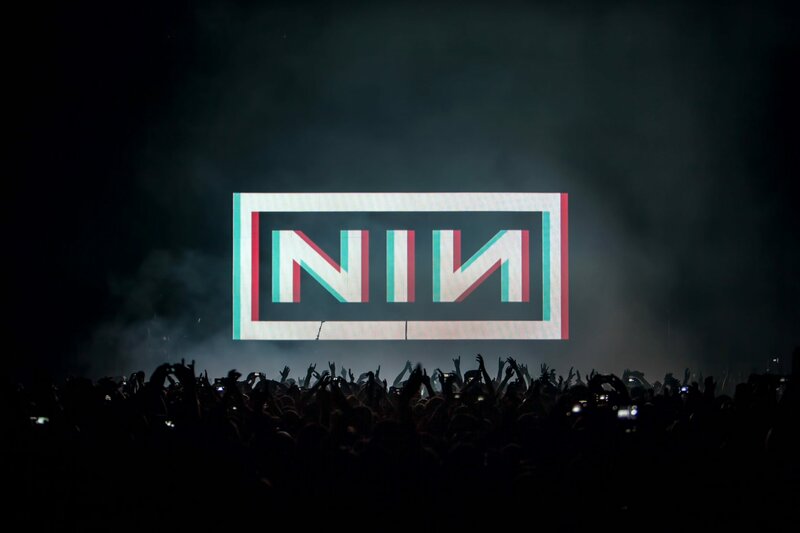 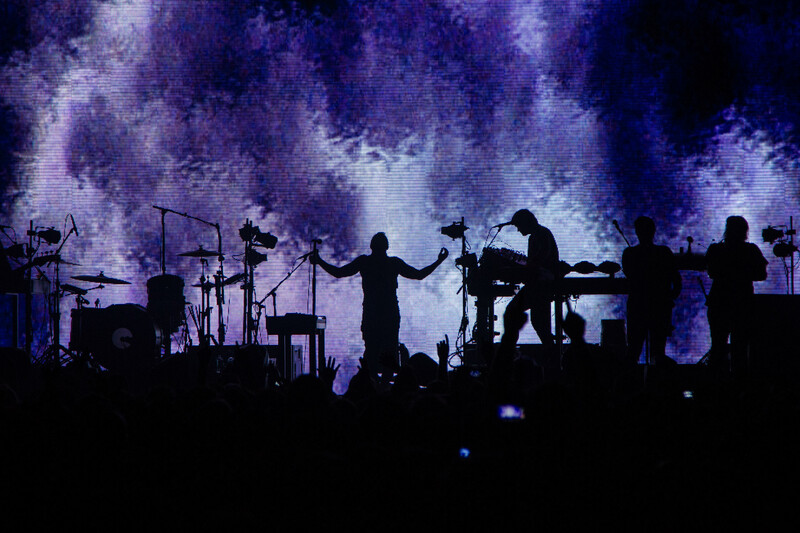 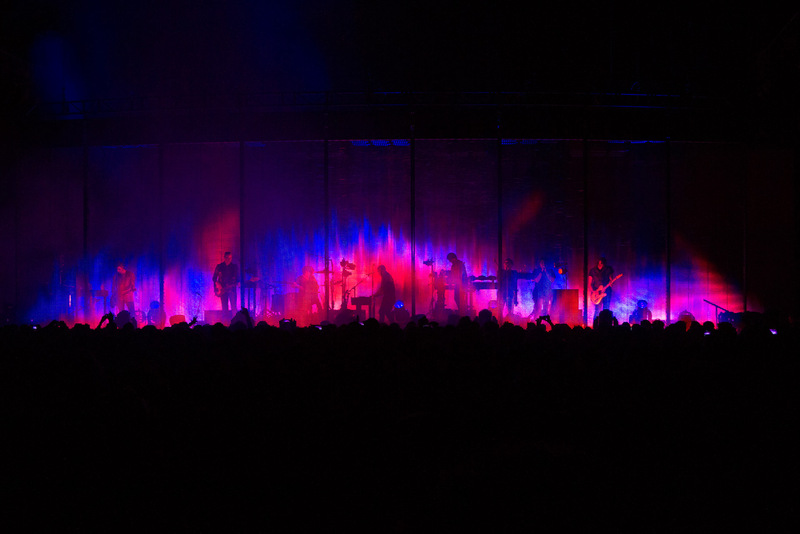 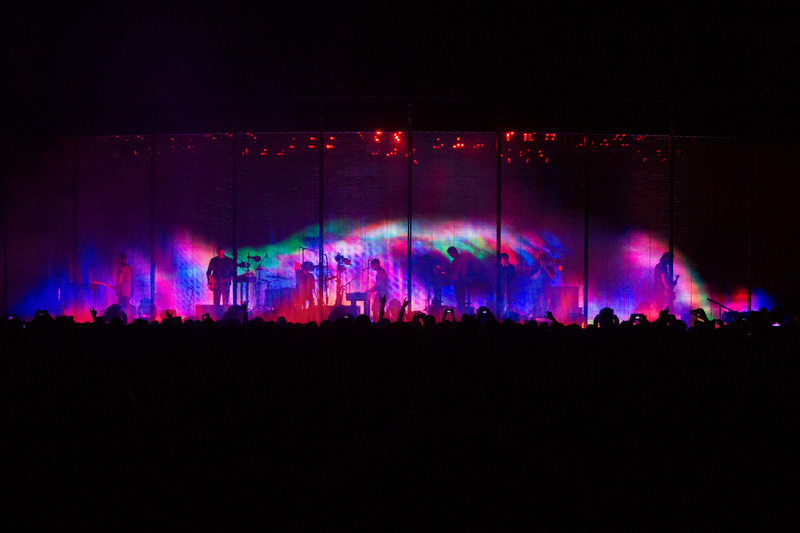 Some cutting edge onstage video and interactive visuals for Nine Inch Nails’ 2013 arena tour. 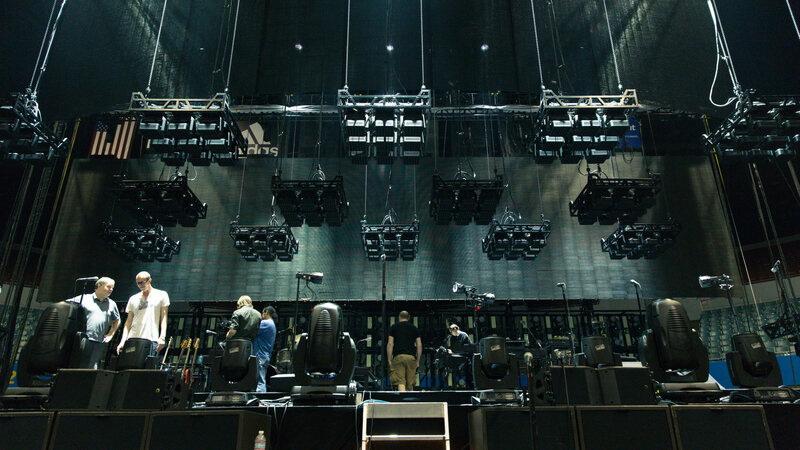 In working with recording artists we are always seeking a unified concept that, through interactive and visual content, will change the definition of what a concert experience could be. 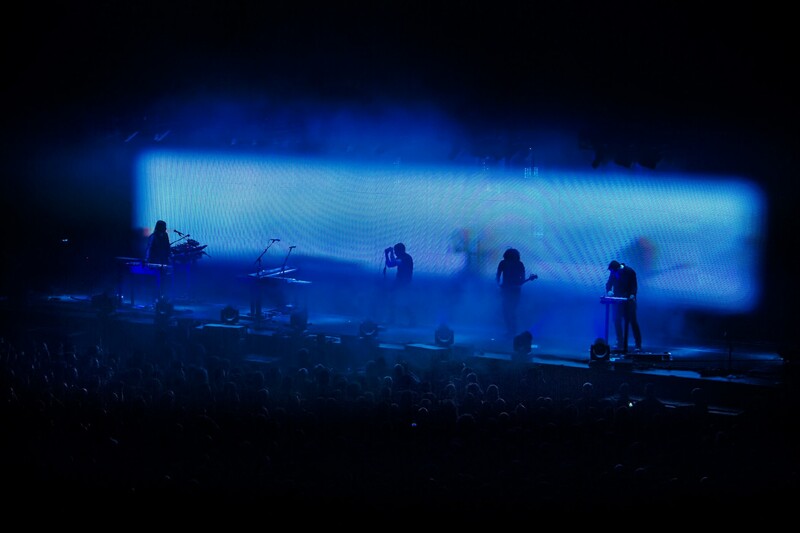 Often through this process we are building not just one show, but an artistic collaboration that will grow with the band’s sound, ideas, and aesthetic. 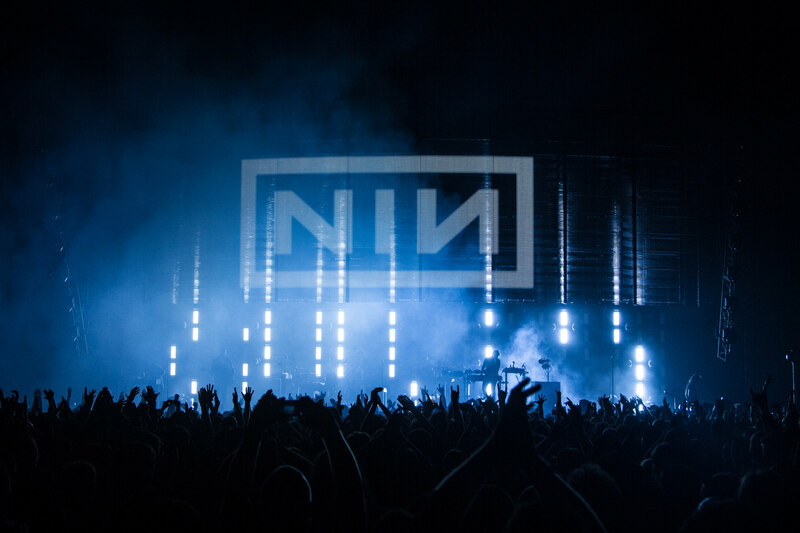 An example of this type of longstanding creative relationship is that between Moment Factory, Trent Reznor of Nine Inch Nails, production and lighting designer Roy Bennett, and art director Rob Sheridan, a relationship forged during NIN’s 2008 Lights in the Sky Tour. 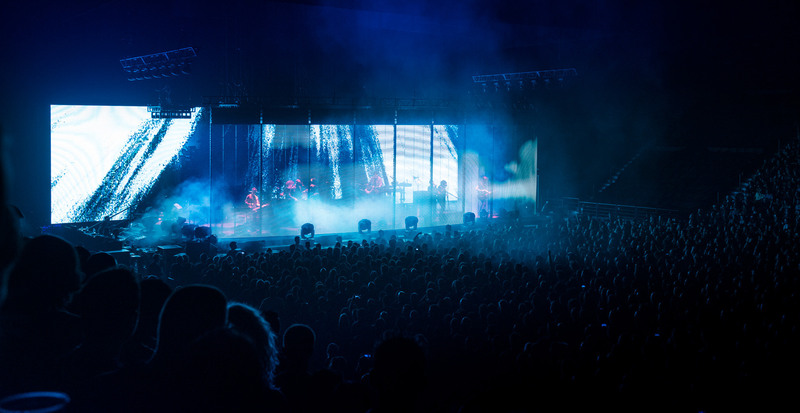 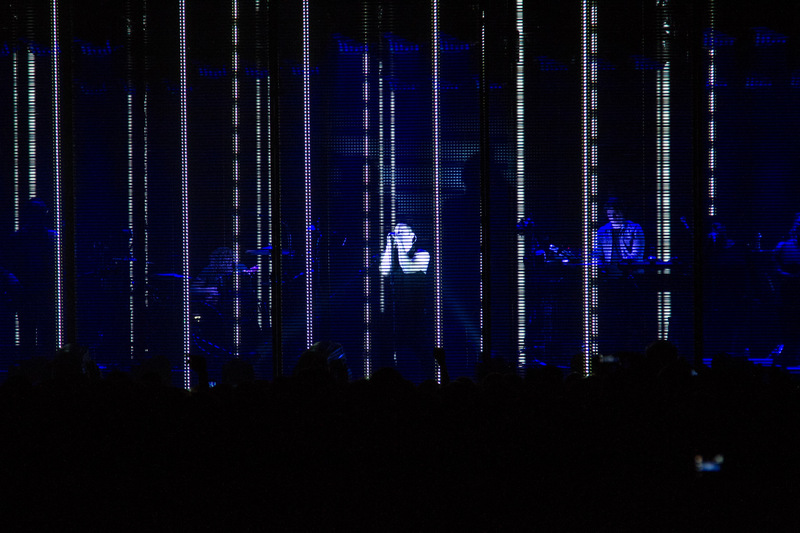 Following a recent collaboration with Reznor and How To Destroy Angels, we were also approached to create cutting edge onstage video and interactive visuals for NIN’s 2013 Arena tour. 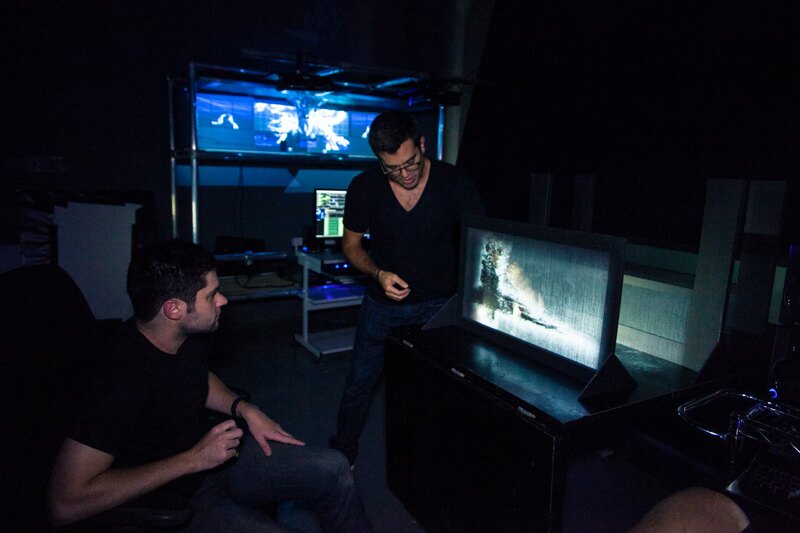 Moment Factory designed and created pre-rendered and real-time content. 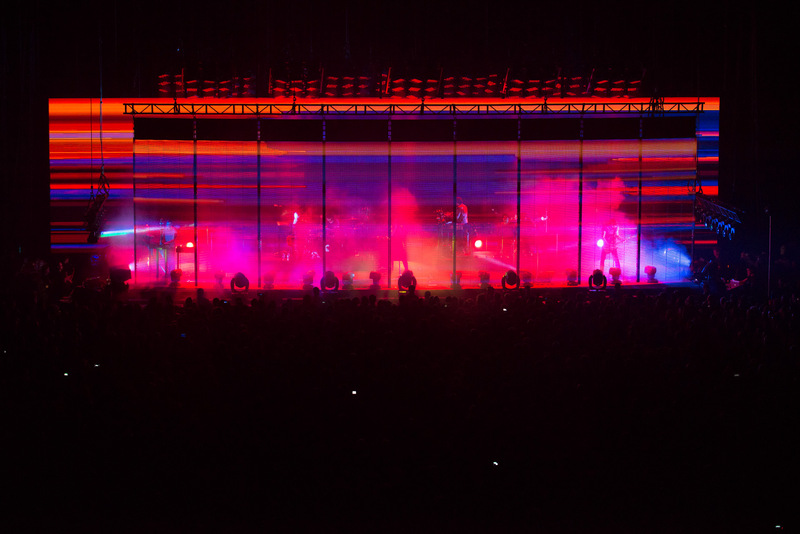 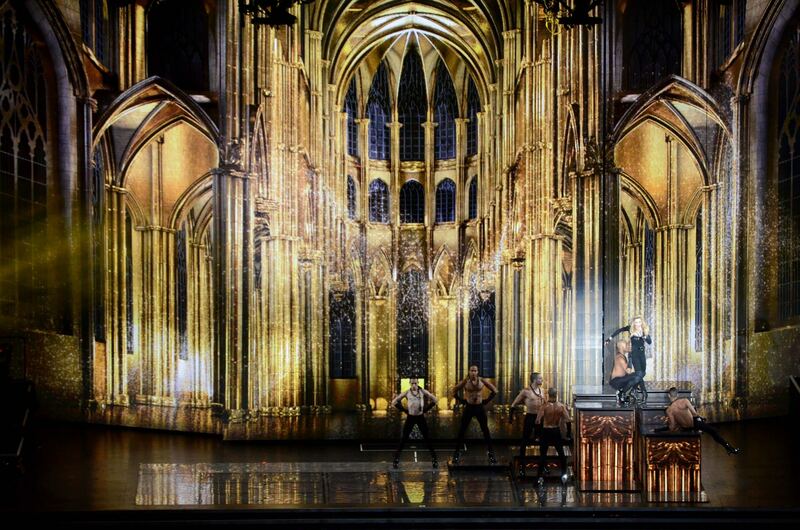 The concept was for the stage to be an extension of the performers themselves, like a fifth band member or instrument that plays along in real time. 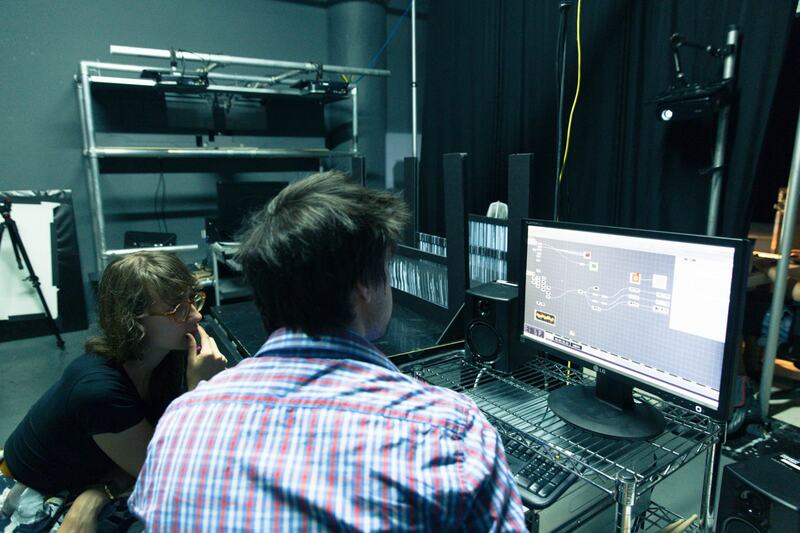 We collaborated on ideas put forward by the core creative team, both supporting their vision and taking it further. 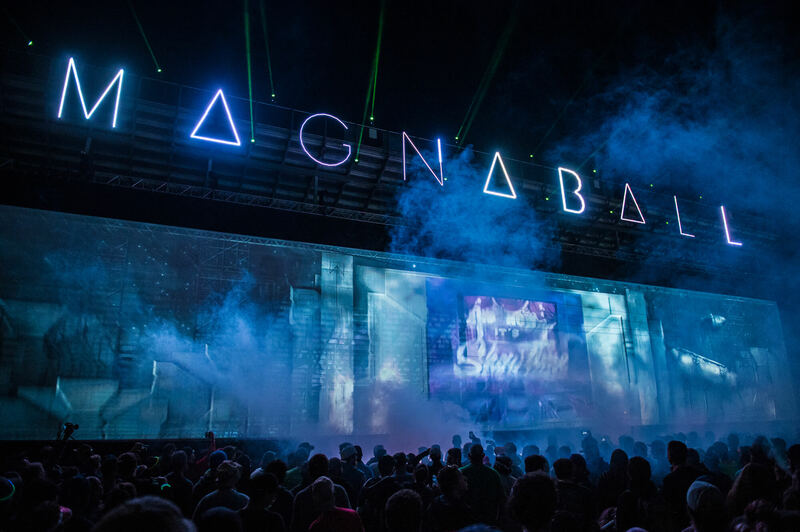 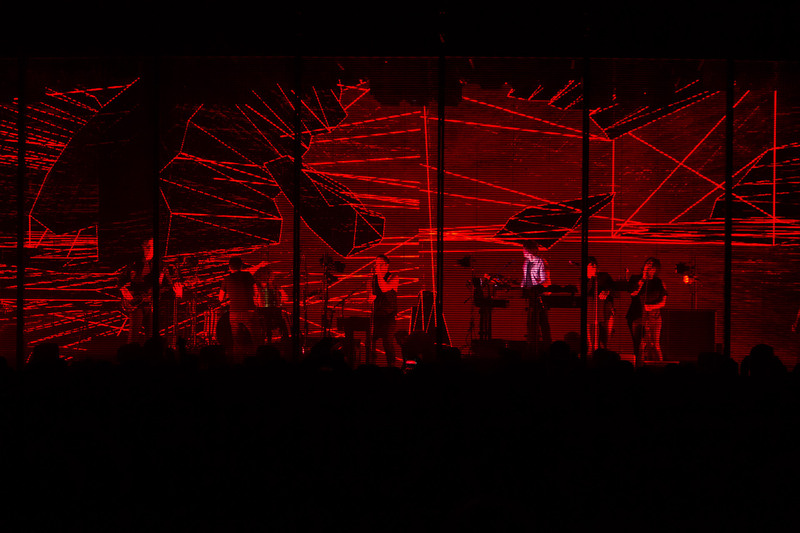 The result, aesthetically responsive to NIN’s industrial sound, was an atmospheric pixelization of the energy in the space, a visual response to the music itself: live, reactive, and a whole new way of engaging with and immersing audiences in the concert experience. 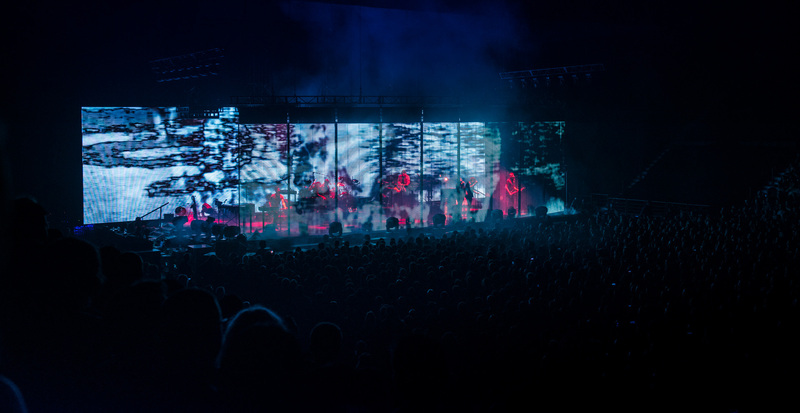 The versatile screens provided a broad spectrum of visual stimuli, from subtle pixelated fuzz to explosive flashes of blinding white light. 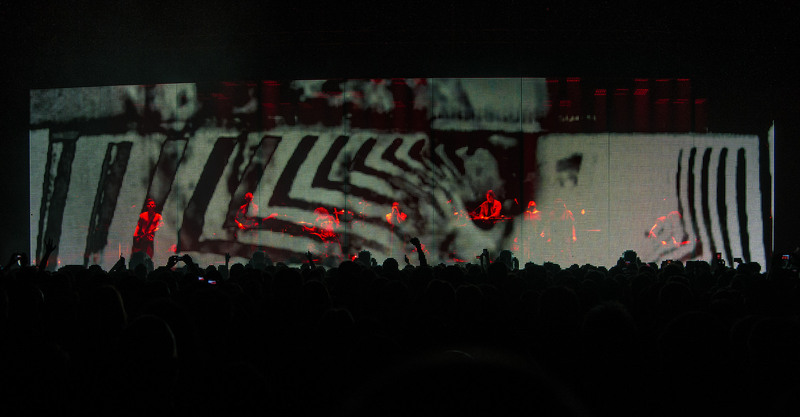 The screens’ live reactions to the band’s movements introduced a depth to the stage’s design and presence that stunned audiences, opening a new chapter to the musical experience.